We’re building the League of Bodysurfing Superheroes from the Comic annals. This is a small strike force style crew with a variety of abilities. There are certainly scores of additional names for the list, but this is the crew I’m hitting the waves with. Peter Parker is one of the most relatable characters in all of the Marvel universe. Peter is brilliant, insecure and always has a witty comback. I think he’d make a terrific bodysurfer. Spiderman has unrivaled reflex abilities that are borderline psychic. If perched in the curl, Spidey’s super strength and tremendous reflexes will ensure he finds the best path to navigate section after section. As an added bonus, Spiderman is able to use tiny fibers in his skin (like spiders) to climb buildings and may be able to redirect this power to holding the high-line of a wave when the rest of us have bottomed out. In the end, Spiderman would definitely have the ability to be a great wave rider and since he is a New York city resident, he could hit up slabby peaks during hurricane season. Storm is one of the leaders of Marvel’s X-Men. She was born mutant and has the ability to control the weather and fly. Most importantly she could create the weather events that send amazing surf her way. Her abilities extend from simply raising the temperature to modifying/creating major weather events. Not only could she send massive waves to your favorite spots, but she could also set the local winds to perfectly off-shore turning an average session to gold. 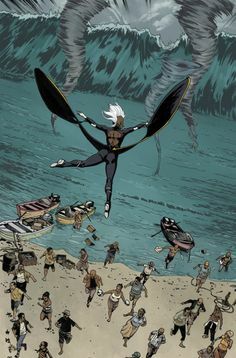 Storm has not demonstrated super-human swimming or strength capabilities, but since she is able to drop in with a flight based entry we can be sure she will be in the right place to catch the waves of the day. 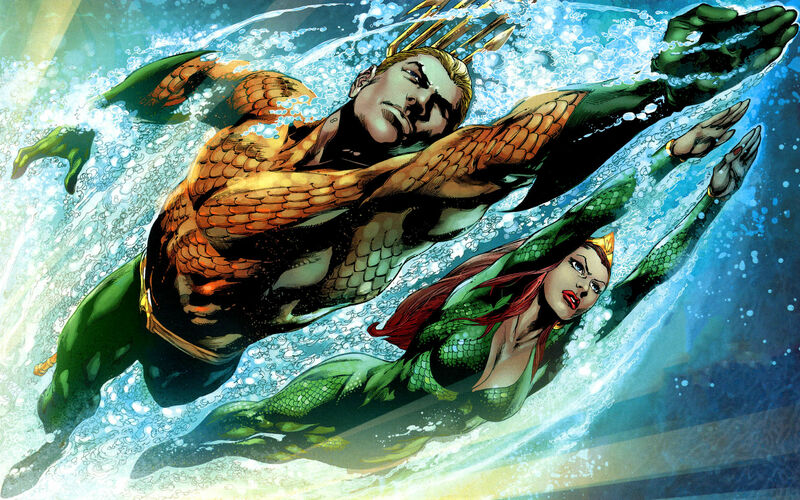 As Atlanteans, Aquaman and Mera are the commanders of all thing water in the D.C. comic universe. Mera is actually from the watery dimension Xebel, but she rules as queen of Atlantis. Aquaman’s origin story has varied through the comic ages, but his swimming prowess is unmatched. He is able to swim 3,000 meters per second and has even swam up Niagra Falls. With that kind of speed and the ability to breathe underwater, this water-bound duo would be bodysurfing legends. As an added bonus, you could ask Aquaman to summon friendly sea creatures to womp in the shallows with you. Also known as Brother Blue, Abe is a must have in our League of Bodysurfers. Abe began his life as a Victorian era scientist who believed that all knowledge and life originated in the Ocean. 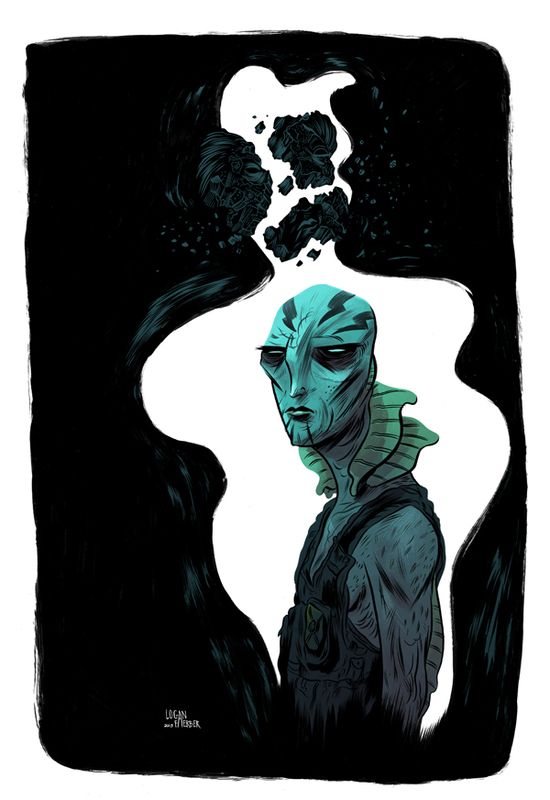 In a secret society ritual with a jellyfish-like deity, Abe was exposed to the creature and transformed into an ichthyo sapien. Post-transformation, Abe’s physiology became amphibious including the ability to swim at great speed and breathe underwater. He is also somewhat “immortal” and highly intelligent. As a member of the Bureau for Paranormal Research and Defense and Hellboy ally, Abe is an excellent teammate. I would consider Brother Blue the spiritual guide and intellectual center of our crew. The son of a human sea-captain and an Atlantean princess possesses super-strength, flight and all the aquatic abilities of Homo mermanus. 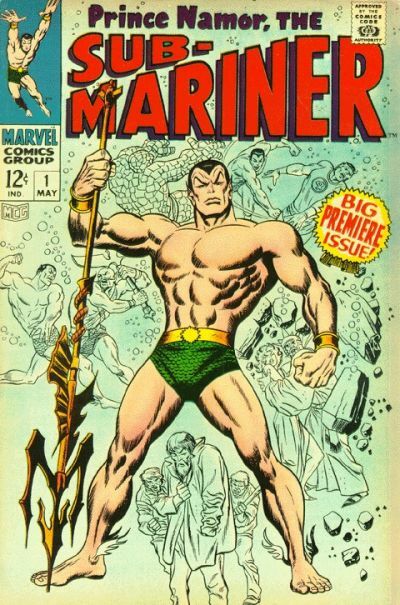 Namor is Marvel’s first and one of the most powerful mutants. He is sometimes portrayed as jovial and sometimes as quick to anger with “surface dwellers,” so I wouldn’t recommend dropping in on him. Like the other Atlanteans on our list, Namor can breathe underwater, so he wont shy away from a big hold down. Between Namor, Aquaman and Mera, we could safely bodysurf our dream waves knowing they’d be able to scoop us up off the bottom even after our most horrific wipe-outs. Namor is the aggressive protector the Ocean deserves and I’d be stoked to trade off waves with this titan of the Sea. This guy is the sentinel of spaceways. He began as a lonely astronomer, but saved his homeworld, Zenn-La, from the planet destroyer Galactus. The Silver Surfer commands great power, but despite his familiar title it is clear he would never be a bodysurfer. First of all, he never leaves his damn surfboard. It seems that some of his ability to travel beyond the speed of light is connected, at least in part, to his silver surfboard. It seems unlikely that he would step away from his board for fear of cosmic retaliation. Secondly, he didn’t even choose to be on Earth. He was temporarily imprisoned on Earth because he disobeyed Galactus. The Silver Surfer is in no mood to enjoy the simple pleasures of bodysurfing. It is also unclear whether or not his body would float on the surface of water. His flesh is made of an unknown cosmic substance which in all likelihood is more dense than water. Where do we begin? A swim with Electro would mean certain death for any mortals in the water. Electro has the power to control electricity, but as you may guess, he is shorted out by water so a swim would be dangerous for Electro as well. 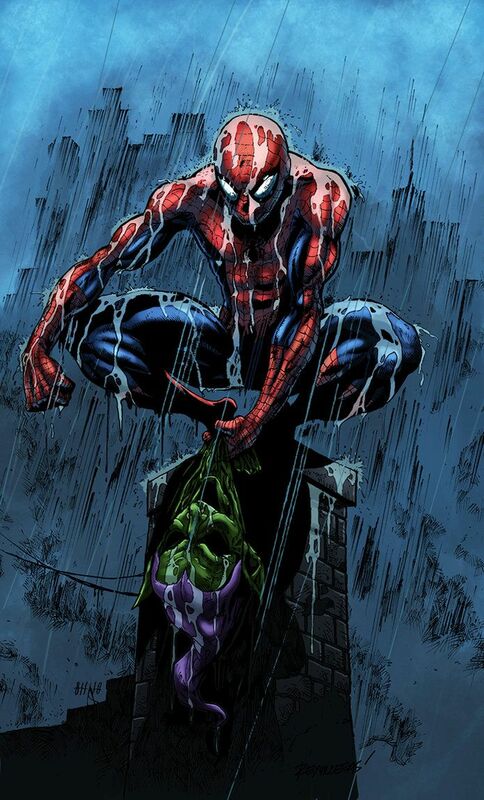 He is also one of Spiderman’s greatest enemies, so having him as part of the League would be cause for internal conflict. Also technically not a heroine, Catwoman wont be catching the womp anytime soon. Her abilities are so strongly based in “cat-like” behavior it is hard to imagine even getting her near the Ocean. Special thanks to Scott Abercrombie for comic consultation.